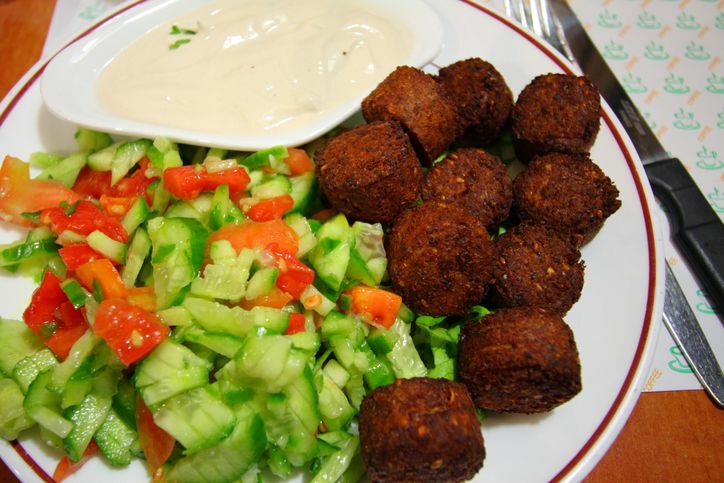 If you are a fan of falafel, you will love this salad. It has falafel and all of your favorite veggies. Don't forget the tahini and falafel hot sauce! Prepare falafel, but do not fry yet. Chop and rinse vegetables. Toss together. Allow it to dry on a paper towel for a few minutes, while you fry your falafel. Fry falafel and allow to drain on paper towel. Lay a bed of lettuce/veggies on each serving plate. Add the desired amount of falafel rounds on top of lettuce. Sprinkle with tahini and falafel hot sauce.